Break each egg into separate small bowls and set aside. 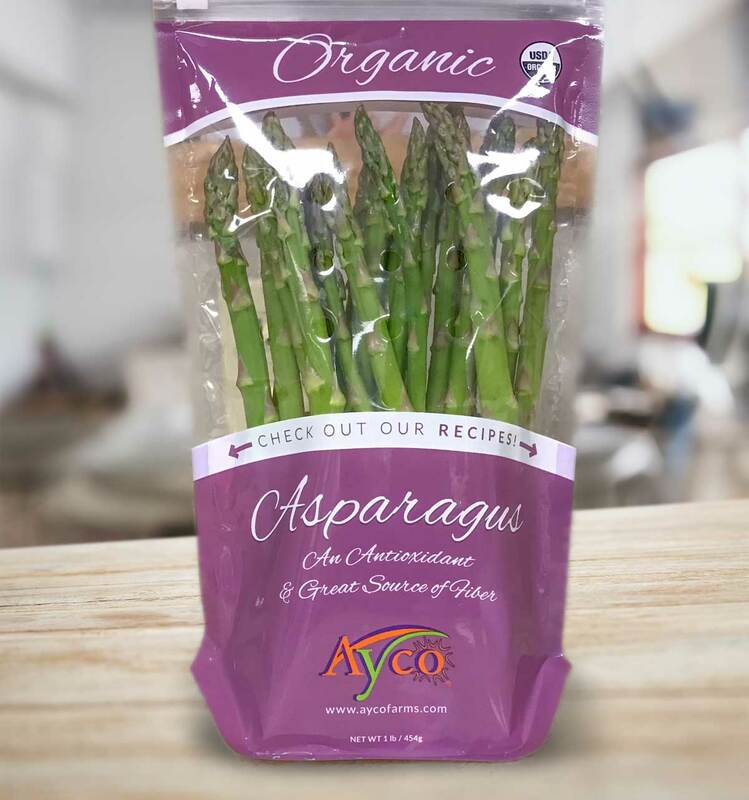 Trim the bottom ½-inch of the Ayco Farms asparagus stalks, then slice them thinly lengthwise. Bring a deep skillet of water to a boil. Cook the asparagus in the boiling water for 5 minutes, until bright green and tender. Remove asparagus with a slotted spoon, then add the 2 tablespoons of apple cider vinegar to the water and reduce the heat to a low simmer. Carefully slide each of the 3 large egg into skillet, one at a time, being careful not to brake the yolk. Cover the pan, remove from the heat, and allow the eggs to cook for 7-9 minutes, until the whites are set and the yolks are still soft. Remove eggs and place on a paper towel for drainage. Pour boiling water into a blender, then cover and let sit for 10 minutes. Dump out the water and dry the container thoroughly. 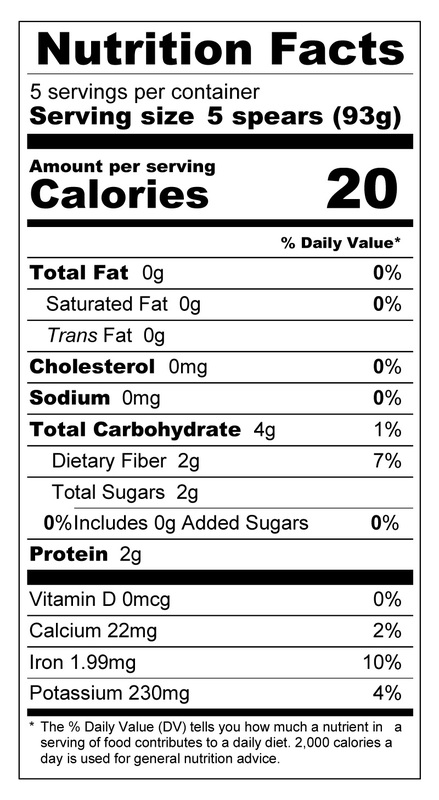 Blend the 2 large egg yolks with the 2 teaspoons of lemon juice, salt, and paprika. With the blender running on low, slowly pour in the 1/4 of a cup melted butter. Blend for about 30 seconds until the sauce has thickened and the butter is well incorporated. An immersion blender works really well for this. The sauce will continue to thicken as it cools. 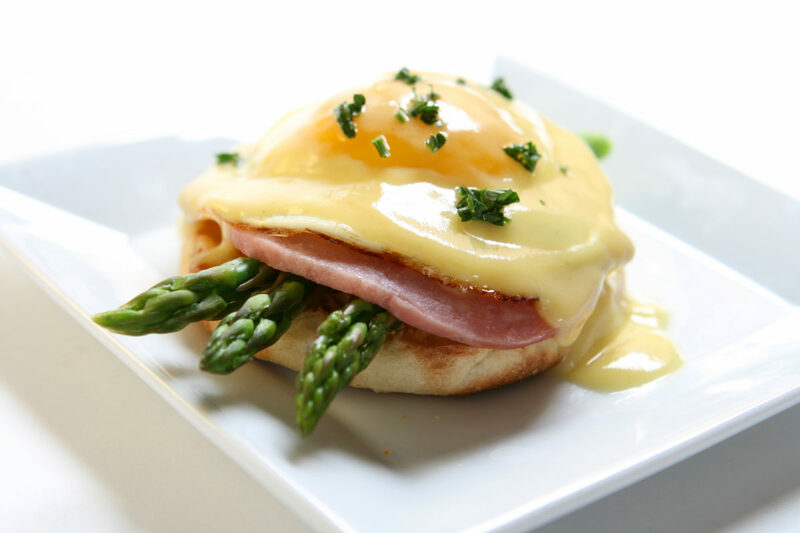 To assemble, place 3 pieces of asparagus on each muffin half; top with ham and a poached egg; drizzle with about 3 tablespoons hollandaise sauce; garnish with chives . Serve immediately and enjoy!